Monday 1st April. Time: 8:00pm (Doors open 7:30pm). Tickets: FREE! 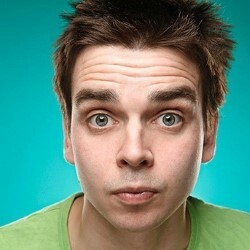 Joz Norris (‘potentially massive future comedy star’ The Herald) and Alexander Bennett (‘refreshingly different material’ Chortle) present a double bill of their new Edinburgh shows Hey Guys! and I Can Make You A Moron! HARRY POTTER NIGHT: SOLD OUT!